Santorini (Thira). 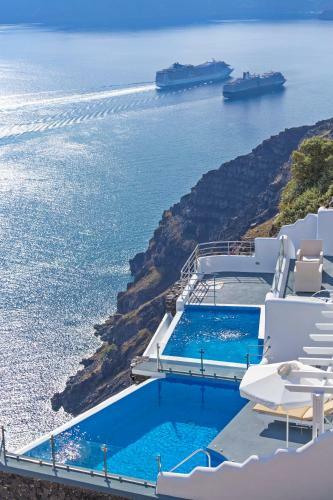 The island of Santorini is without a doubt the most remarkable of the Greek islands. 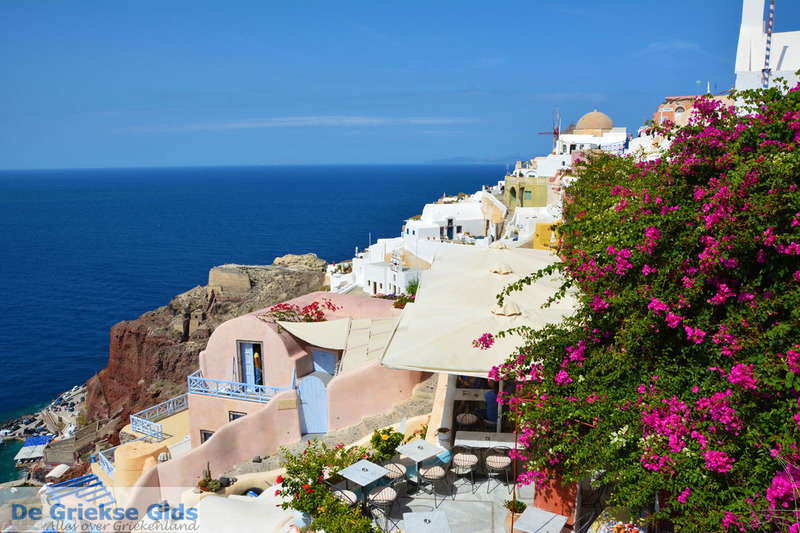 Santorini, the southernmost island of the Cyclades, owes its current form to the various volcanic eruptions that have taken place here over the centuries. 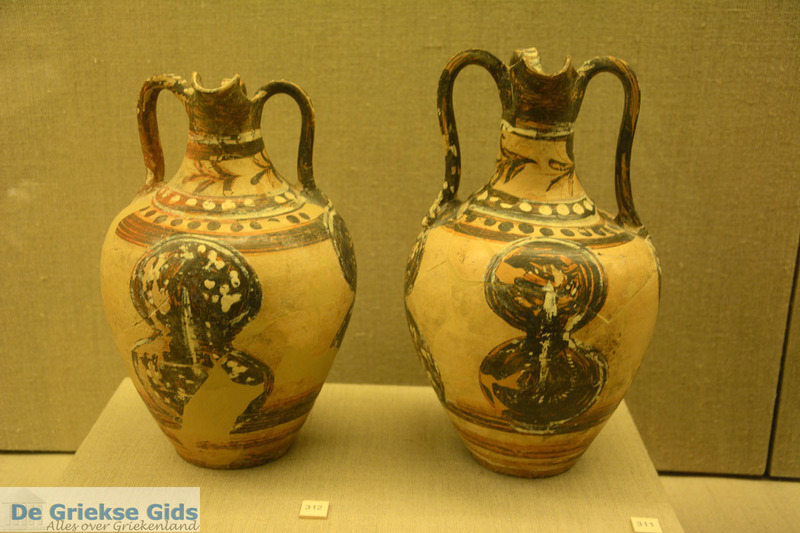 Before the 15th century BC it was larger, but after an eruption in 1450 BC, it has the appearance of a half-moon. The rest of the island has disappeared into the sea. On the edges of the craters, residents later built homes, villages and churches. These villages are located on an altitude of approximately 300 meters (1,000 ft). The view from up here is indescribably beautiful. 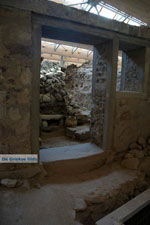 Santorini has a fascinating and at the same time impressive history. 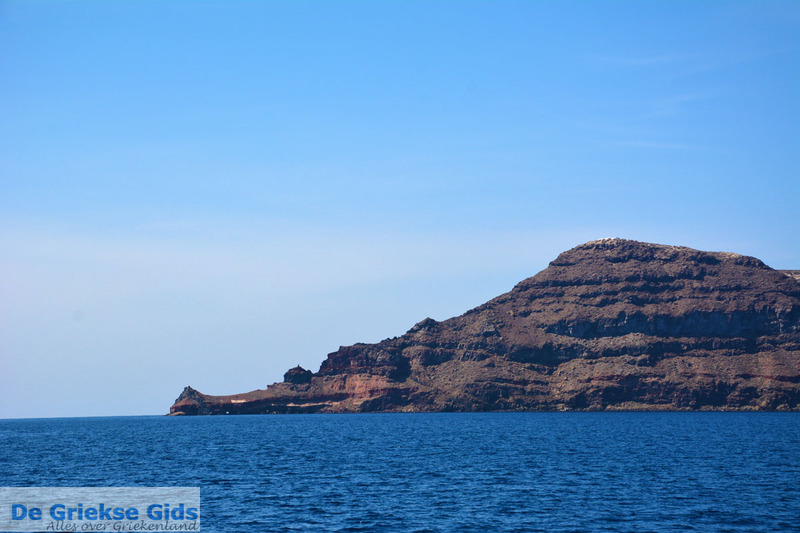 When approaching the island and seeing the caldera (crater) and the volcano, you are already highly impressed! Many tourists, seeking romance, come specifically to Thira (Thira, the alternative name of Santorini) to witness the beautiful sunset. 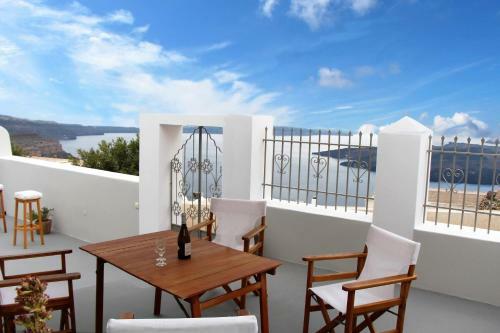 Santorini is a not too large (72 km2/28 mi2). 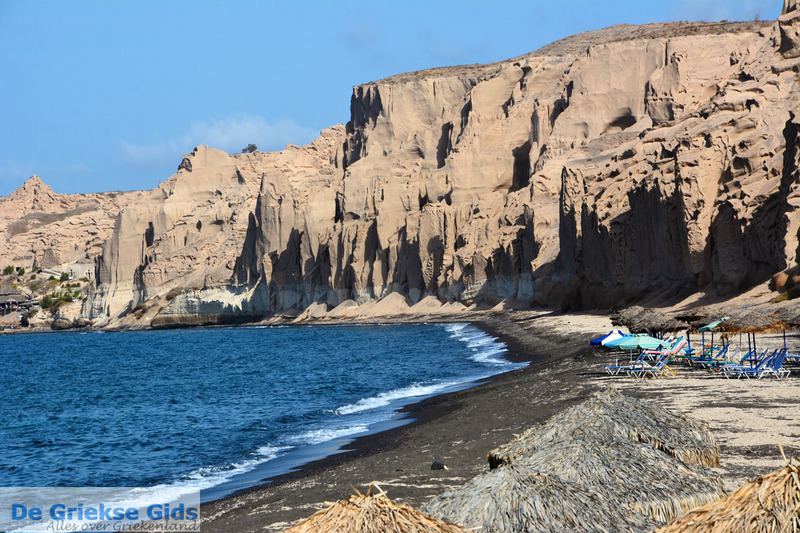 It is a dry, mountainous volcanic island, with crags and cliffs on its west coast. 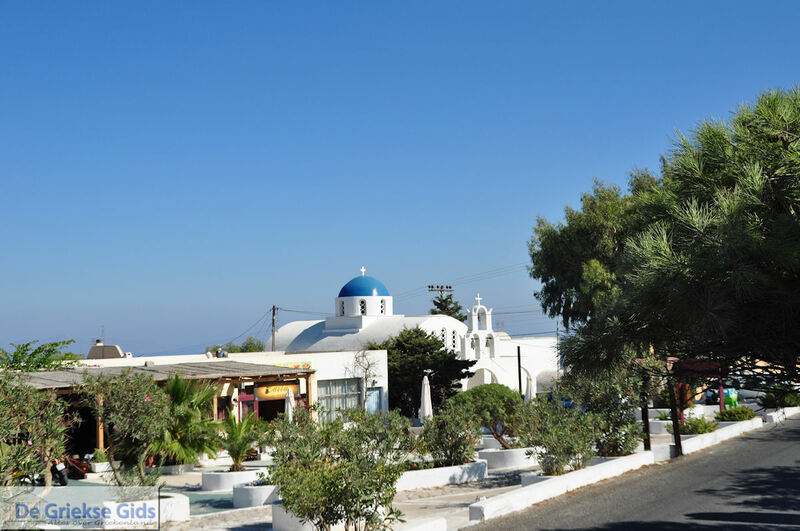 The eastern side of Santorini is flatter and there are some the very remarkable beaches like Perissa, Perivolos and Kamari. 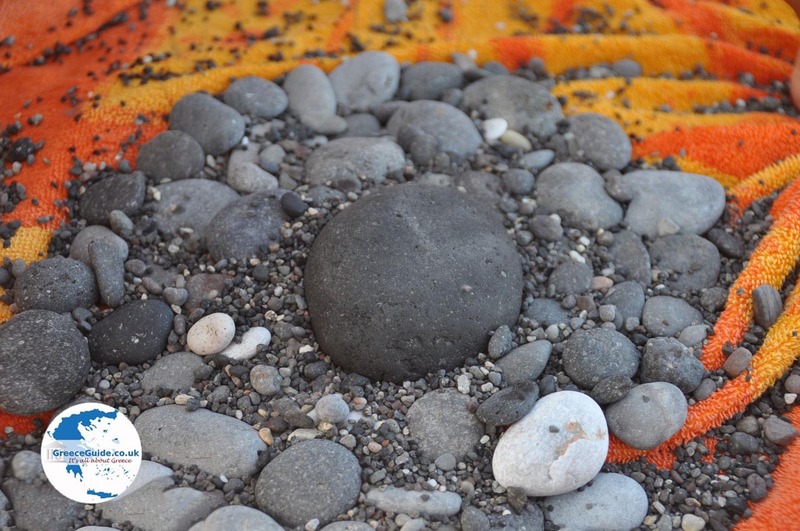 All these beaches have black/grey sand because of the volcano. 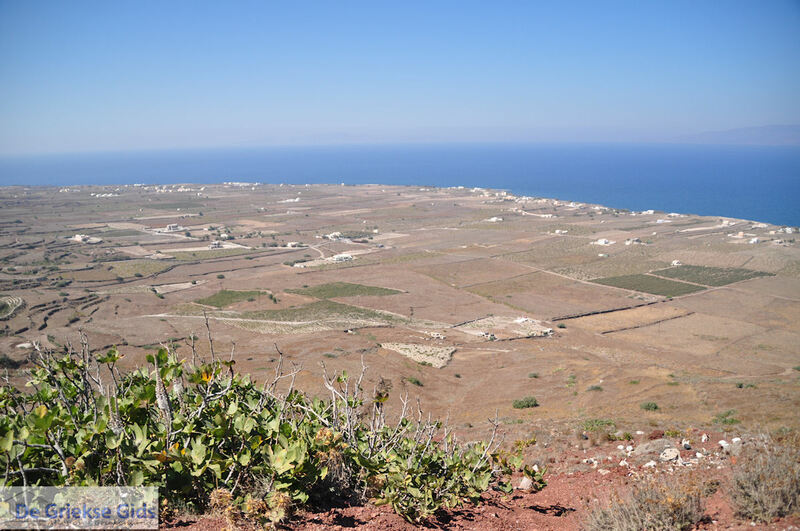 On this side of the island there are vineyards where famous Greek wines are produced. 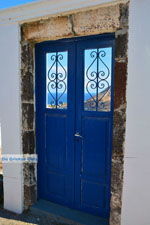 Santorini has many attractions. Mainly, it’s the villages located on the steep cliffs that attract the most tourists. 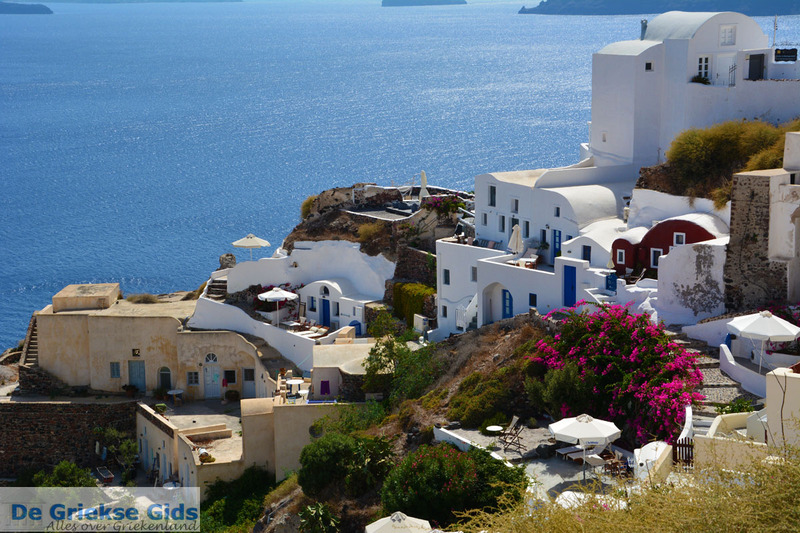 The capital, Fira, and the villages of Firostefani, Fira and Oia are absolutely phenomenal. 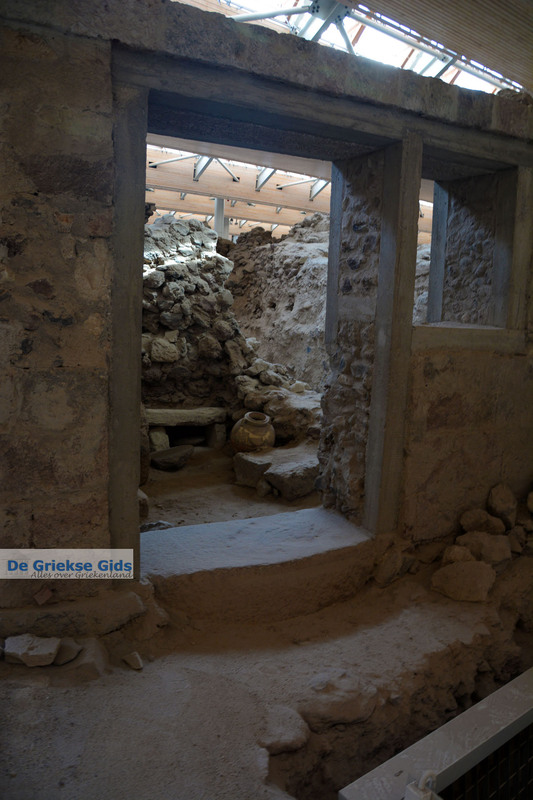 You will find archaeological ruins in the south of the island near the town of Akrotiri. South of Akrotiri, there is the famous Red Beach where the volcano has clearly left its mark. 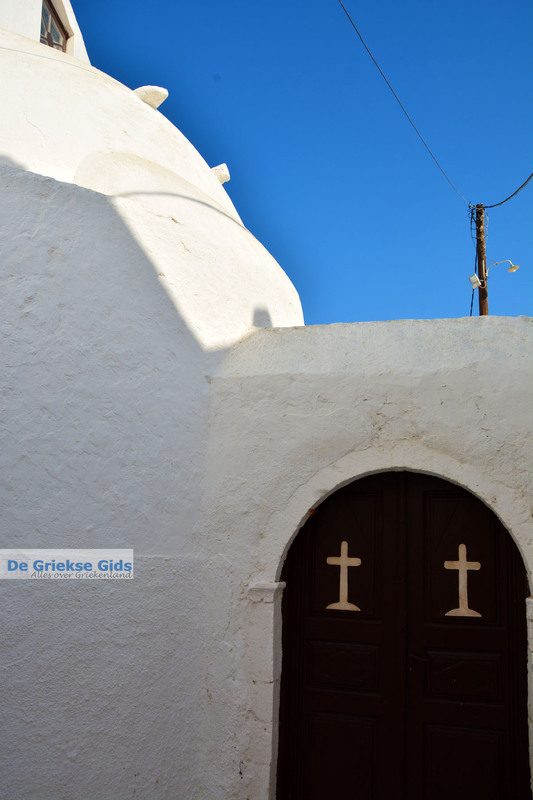 Although Santorini has become very touristy, there are a number of traditional villages where customs are still well preserved, such as Megalochori, Finikia, Pyrgos and Mesaria. 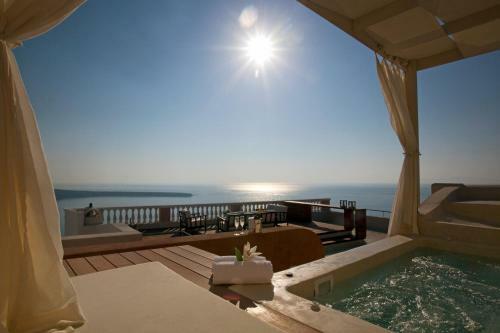 Santorini is located 113 kilometers (70 mi) from Crete and 209 kilometers (130 mi) from Piraeus. The length of the coastline is about 70 kilometers (43 mi). The distance from the northernmost to the southernmost point is about 18 kilometers (11 mi) and maximum width of the island is only 6 kilometers (4 mi). Athinios is the larger harbor of Santorini. 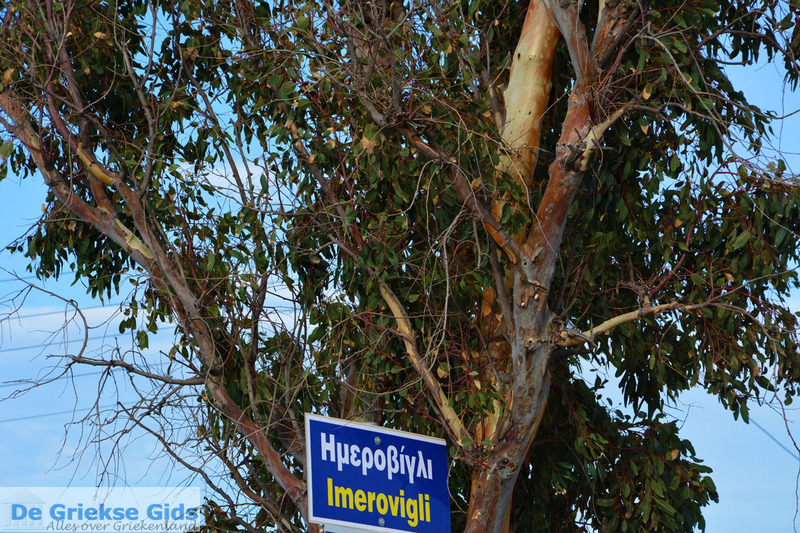 This port is near Megalochori. 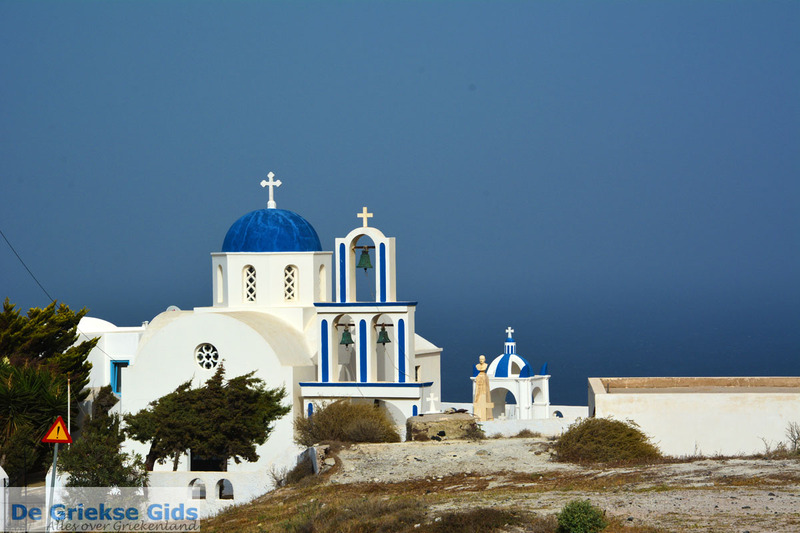 Larger boats and ferries arrive here when visiting Santorini. 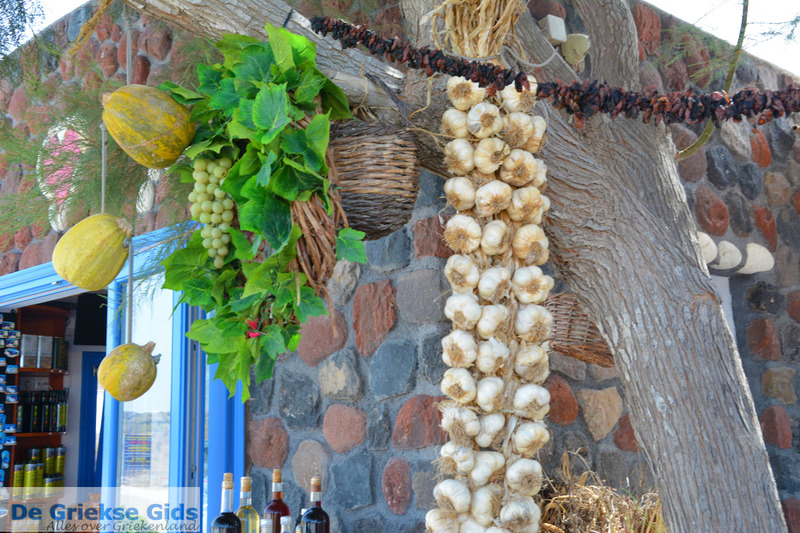 When you visit Santorini, you surely would like to taste the local specialties. Fava (kind of mashed chickpeas), white eggplants in the pan and tomatokeftedes (sort of meatballs in tomato sauce) are the most famous culinary specialties of the island. Of course the delicious local wine cannot be missed. Santorini is also very famous for its good wine. 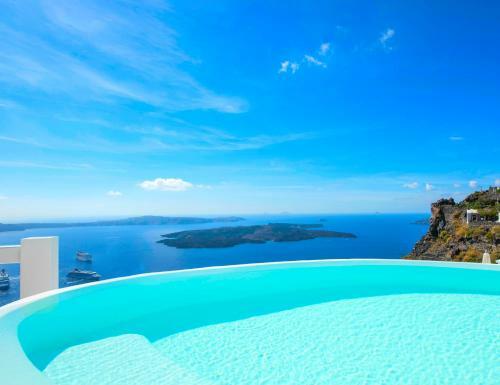 By airplane you can reach Santorini from almost anywhere in the world. 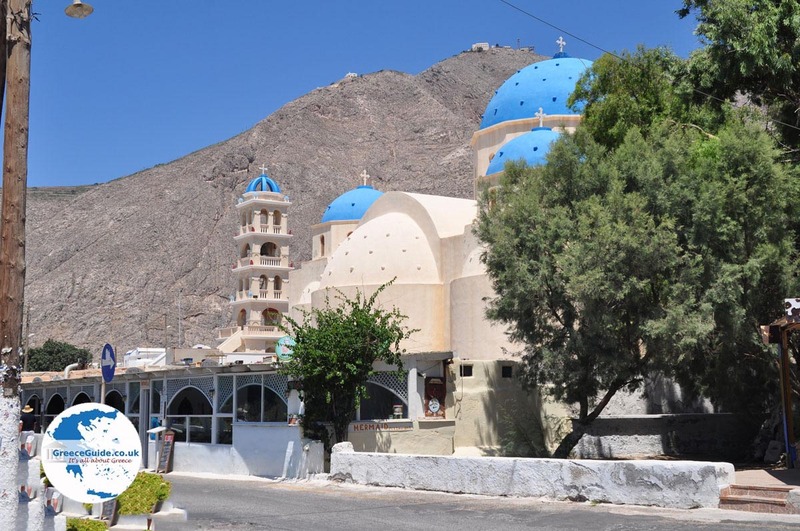 Or by ferry; Santorini is connected with the following ports in Greece: Piraeus (Athens), Anafi, Chalki, Folegandros, Heraklion (Crete), Ios, Karpathos, Kasos, Kos, Milos, Mykonos, Naxos, Paros, Rhodes, Serifos, Sifnos, Sikinos, Sitia, Syros and Thirasia. 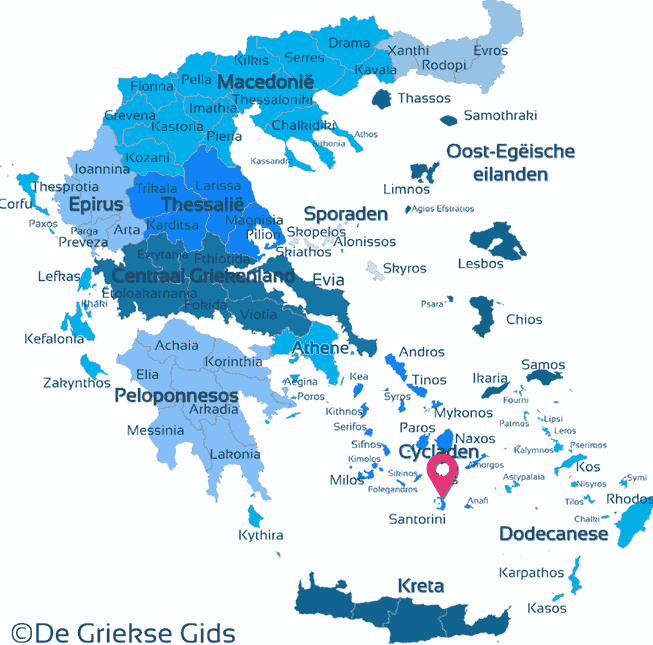 Santorini: Where on the map is Santorini located?